There were no market surprises in the Fed minutes and a very low 800k contracts pushed 1 tick above the prior day's high. There was very little underlying selling momentum all day, as seen in the TICK. What could've been an intermittent high from the prior day's selling tail has now been negated and daily value continues to shift higher. 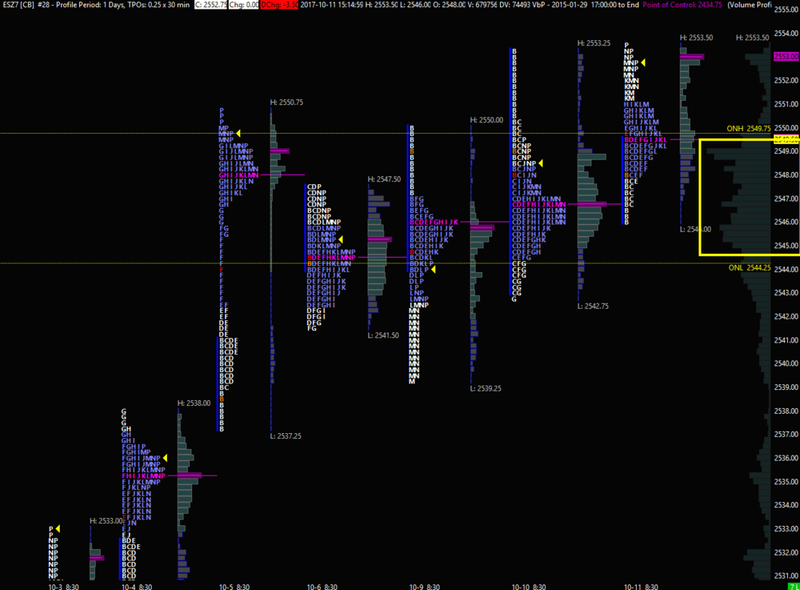 The day finished with the VPOC up at 2553.00 and a weak high is now left on the daily profile. 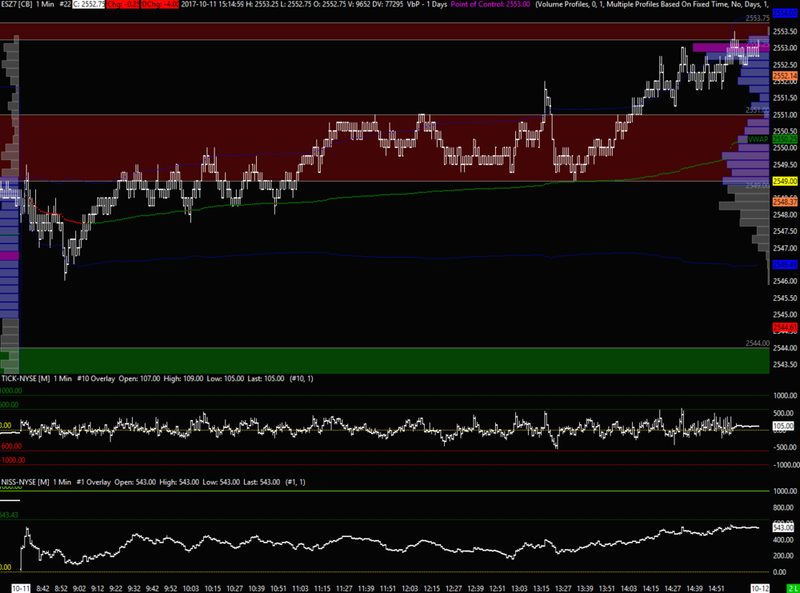 Overnight so far the range is 2552.50-47.25, and trying to move lower. As the combined profile chart from Oct 5th-10th below shows, under 2549.00 is where the market has spent most time and volume over the past week and the area between 44.25-50.25 could be rotational. I'm happy to sit on my hands until we see better trade location opportunities. There's some overnight resistance at the 50.25-51.75 zone and above there is yesterday's VPOC and weak high at the 53.00-53.50 zone with no hard resistance above, just measured potential moves.